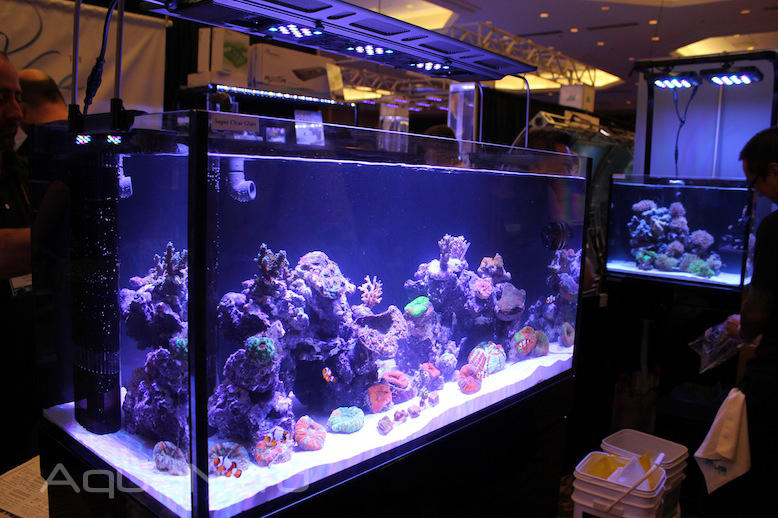 In February of this year, Reef Octopus revealed their new Luxury aquariums and stands, their first step away from aquarium accessories and their first attempt at the aquarium itself. While we initially liked the stylings of this new aquarium, stand, and sump combo, we had no idea just how cool the overflow box, of all things, was going to be. At MACNA, we got to spend a little time at the CoralVue booth, who had a few gorgeous Reef Octopus Luxury aquarium systems on display. We were initially entranced by the Maxspect Razor LED fixtures, but our attention was soon diverted to the very functional mini overflow box in the aquariums. What separates the overflow box on the Luxury aquariums from the rest of those in the industry is their shape and placement. Instead of being a squared off overflow that’s pressed against the back of the tank, this overflow is round, about as small as physically possible, and pulled away from the walls and corners of the tank. While this placement might chew up floor space in the aquarium, it more than makes up for that by allowing water flow to pass around it in all directions. The overflow draws in water from two different levels (at the surface and near the bottom) and from every angle as the teeth surround the entire box. 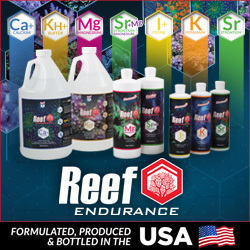 This setup should allow for a great deal of water flow, preventing dead spots from accumulating around the overflow box and making the aquarium a little cleaner in the long run. 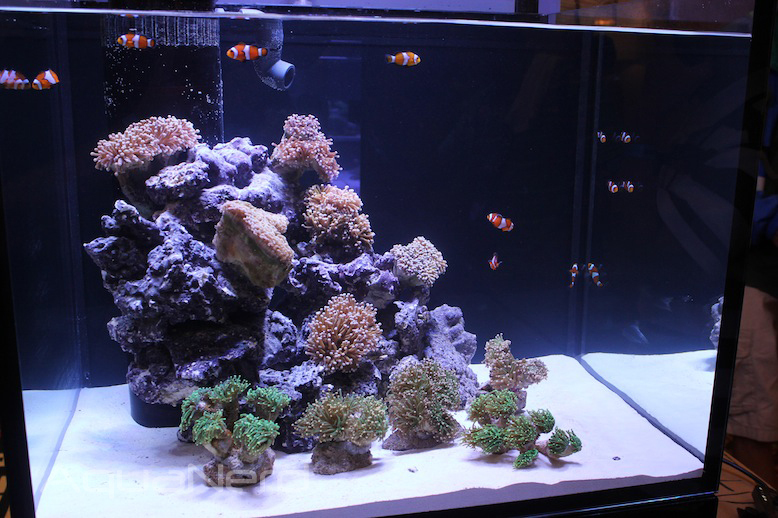 As for the “Luxury” moniker given to these aquariums, we can certainly say they are visually appealing and worth a good look if you’re in the market for a clean looking, modern reef tank.